Well, it didn't take long before Copy Cats and Class B Tayo's "Gayahin Mo Sila" made it on to YouTube's "Trending" list. The official version of the music video parody is currently in the eighth spot of the video streaming site with around 414K views since being uploaded by GMA Network's channel only 24 hours ago. Michael V's latest spoof—a gut-busting take on Ex Battalion's massive hip-hop ensemble hit "Hayaan Mo Sila"—has taken over public consciousness via social media. We're not even factoring in the bootleg shares (which have noticeably been taken down), but the satirical lyrics spread like wildfire online right after the Bubble Gang episode it was featured in aired. Pair those lines with Ex B's controversial yet contagious melody, and what you get is a recipe for viral success. The funny thing is that, what Bitoy is actually talking about in his latest video, is the concept of virality itself. Here, Michael V. takes a rather serious and self-deprecating turn. With "Gayahin Mo Sila," he delves into the gullible nature of netizens when it comes to internet sensations. He chimes in on the twisted nature of stealing the work of others, using his own parody as a meta-commentary of this online phenomenon. 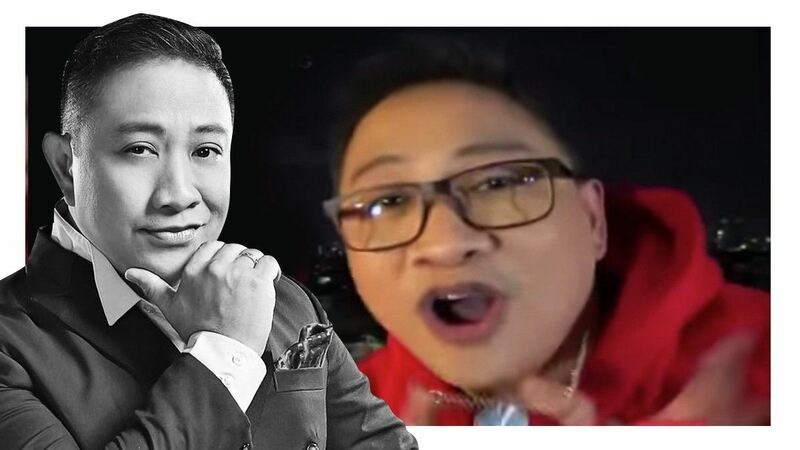 Bitoy's on-point impersonation of each rapper from Ex B, in terms of aesthetic and excessive use of auto-tune, proves his comic genius, but the clear message that he is able to get across cements his legendary status. And while the main purpose of his parodies are for pure hilarity, this isn't the first time he's tackled deeper issues through his lyrical humor. He was definitely way ahead of his time when he wrote "Kung Kailangan Mo Bato," (from Rey Valera's "Kung Kailangan Mo Ako"), and the way he paid tribute to the first Eraserheads concert with the "Alapaap" spoof, "Hala Pack Up," was funny yet still sensitive. His ability to push the envelope by treading dangerous comedic ground gives him the license to operate freely. Being hilarious without offending someone also separates Michael V. from his contemporaries. He's a daredevil artist unafraid to poke and prod. There's a saying in the OPM industry: You haven't truly made it if Michael V. hasn't spoofed your song. The mutual respect between him and the impersonated musician highlights his credibility as a natural parodist. After all, who wants their prized creation to be an object of ridicule? Only Bitoy can get away with it. He may have penned "Gayahin Mo Sila" for the mere fun of it, but the outcome turned out to be something more significant. People have only good words for his song and are hoping for more material about social concerns which reflect contemporary society. This just goes to show that Michael V's brand of satire is not just for laughs.